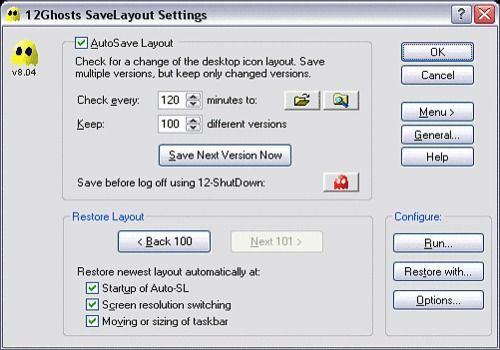 Keep changes to your desktop icon layout once and forever. This is the final answer to the Windows desktop imperfection, keeping a strong backlog of icon layouts. Restore at resolution switching, or when the taskbar is moved. Optional tray icon, hotkey, and command line options for automated backups. Comes with a one-click accessible desktop simulation tool, and a taskbar tray application launcher.